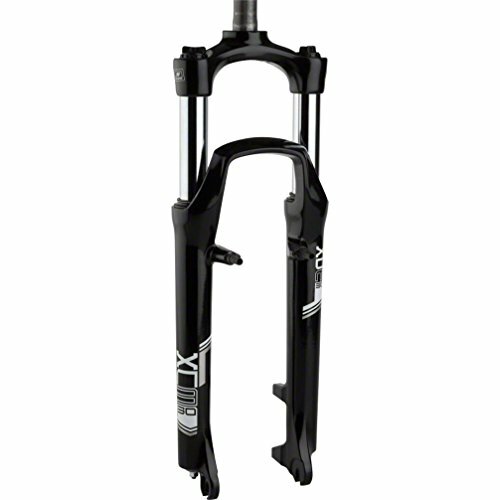 SR Suntour XCM Suspension Fork 26'', 1'', 255mm threadless steerer, 100mm travel: by SR Suntour at Joes V Cycle. MPN: GSFXCMPZ00000378. Hurry! Limited time offer. Offer valid only while supplies last. A suspension fork that offers a coil spring, alloy lowers, 30mm nickel plated stanchions and adjustable preload. Intended for casual off-road use. A suspension fork that offers a coil spring, alloy lowers, 30mm nickel plated stanchions and adjustable preload. Intended for casual off-road use. Alloy lowers. Steel alloy stanchion with nickel plated finish. Coil spring with preload adjuster. Color: Black. Weight: 2635. Offset: 40. Axle to Crown Length: 482. Crown Race: 27. Steerer Tube Length: 255. Brake Type : Linear Pull. Brake Type : Post Mount 160. Wheel Size: 26". Travel: 100. Defined Color: Black. Steerer Type: Straight. S.H.I.S. Stem Clamp Diameter: 25.4. External Adjustments: Coil Preload. Positive Spring: Coil. Front Axle: 9mm x 100mm. Negative Spring: Coil. Stanchion Diameter: 30. Lockout Switch: None. Maximum Tire Width: 82. If you have any questions about this product by SR Suntour, contact us by completing and submitting the form below. If you are looking for a specif part number, please include it with your message.